From our law office in Cuba, Missouri, the attorneys at the Paulus Law Firm, LLC, deliver quality, cost-effective legal services to clients throughout Crawford County and Central Missouri who have serious and complex legal challenges affecting their lives, their families, their freedom and their future. In addition, we also offer exceptional representation in immigration law for individuals and families seeking to live and work in America as well as employers looking to hire foreign talent. Moreover, we can handle many other legal areas as well or put you in touch with an attorney who can. No matter your needs, we are here to help you find a solution. Our law firm's attorneys have almost 60 years of combined legal experience, so we have the extensive knowledge and skills necessary to help you achieve the favorable outcomes you expect efficiently. Working closely with you, we promise to deliver the personalized and compassionate counsel you deserve as we diligently and aggressively advocate on your behalf to help you secure a brighter future for yourself and your family. 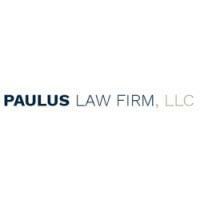 For more information on how the Paulus Law Firm, LLC, can best serve your needs and support you during your difficult and uncertain time, you can contact our law office or visit our website to schedule a $50.00 initial consultation. Moved to the area in July, and wanted to use a local Attorney for my Will. Contacted by e-mail, and within 15 minutes had a response. The office staff is outstanding and very professional. First meeting with Mr. Paulus was exploratory to learn about me and my desires for my heirs. Mr. Paulus is easy to talk with, and I felt really comfortable after this meeting. We chose a Trust. After a couple of more meetings, my Trust was completed. I highly recommend doing business with this firm.